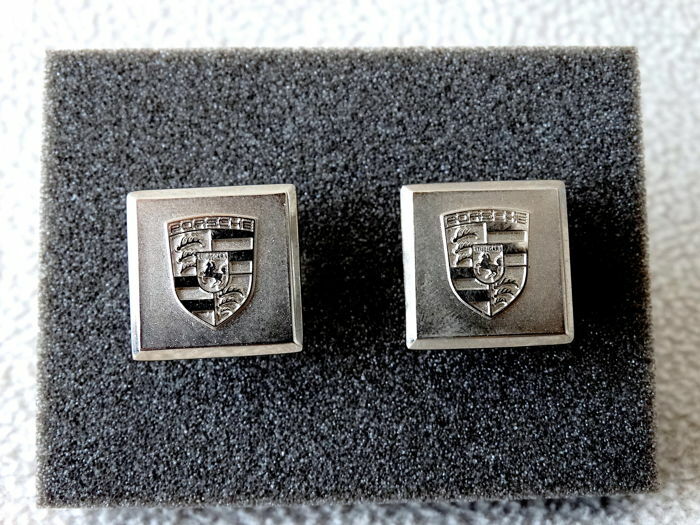 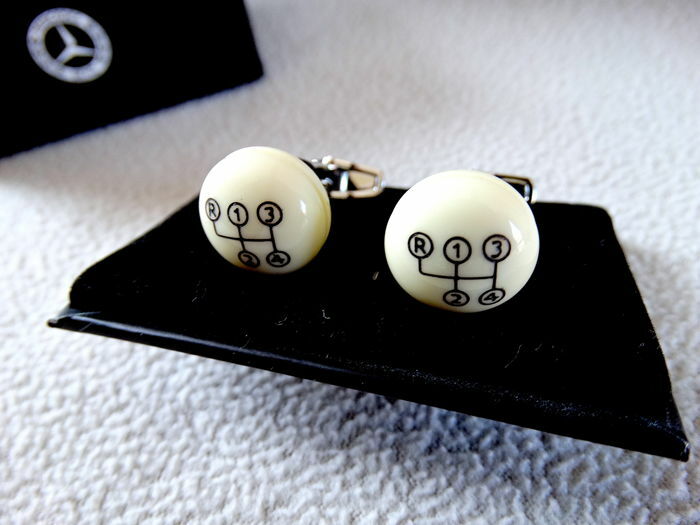 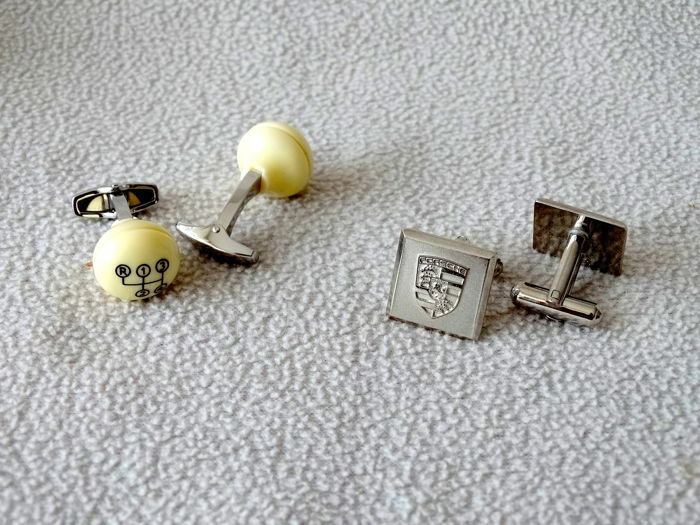 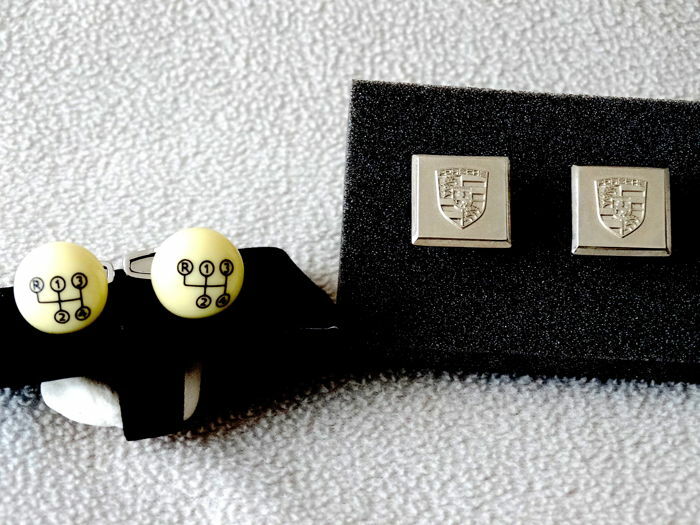 Two pairs of cufflinks for collectors of Porsche or Mercedes Benz automobilia . 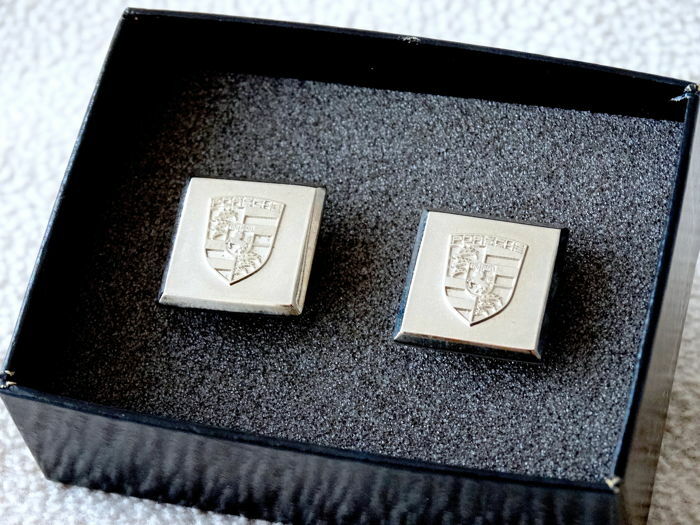 -A signed pair of Porsche all in silver (925) dating from the beginning of the ' 90s. 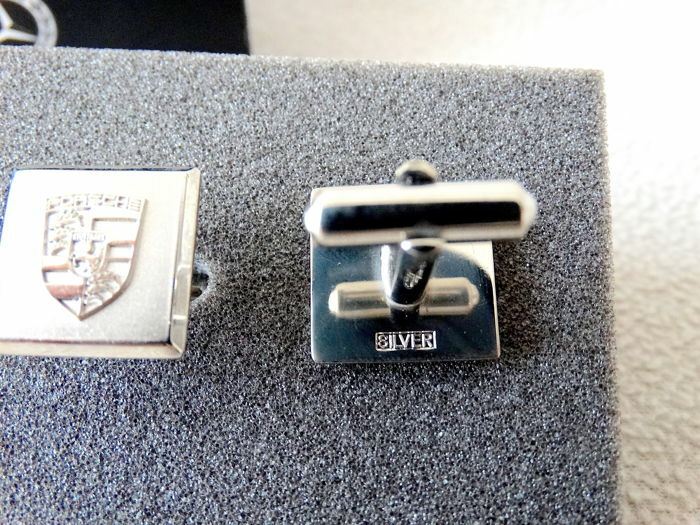 Perfect condition, worn once only, so no trace or scratch. 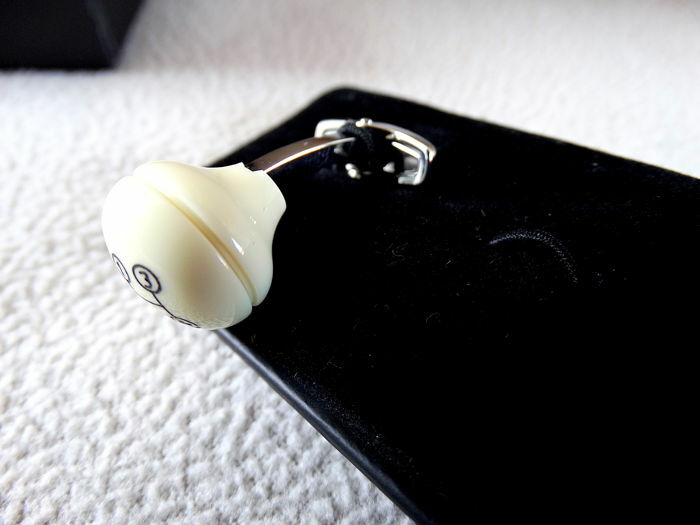 Sold in its protective box. 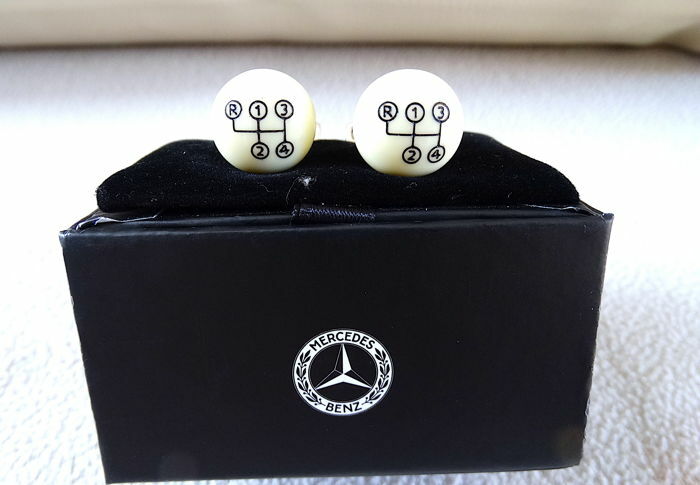 -A signed Mercedes Benz pair with original box dating from the beginning of the 2000s (probably in pearly Bakelite). 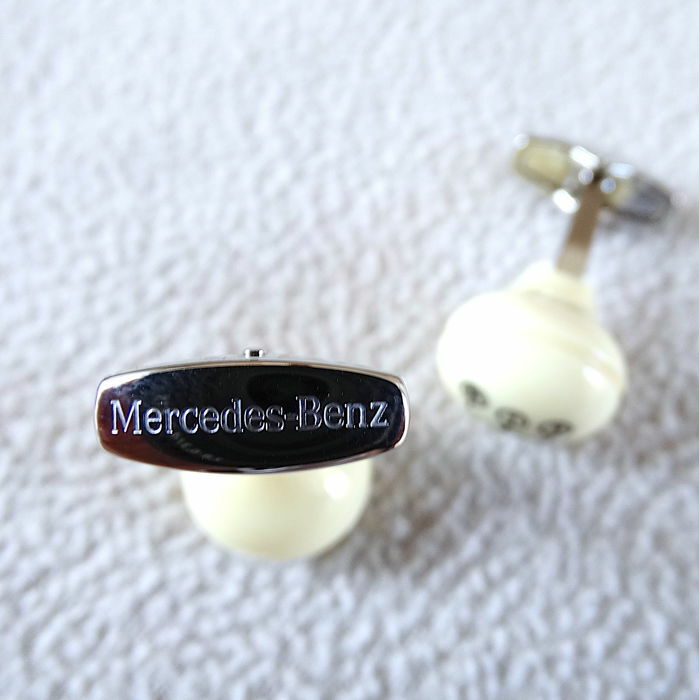 Exclusive design reminding the design of the gear lever of the famous Mercedes 300 SL known as "Butterfly". 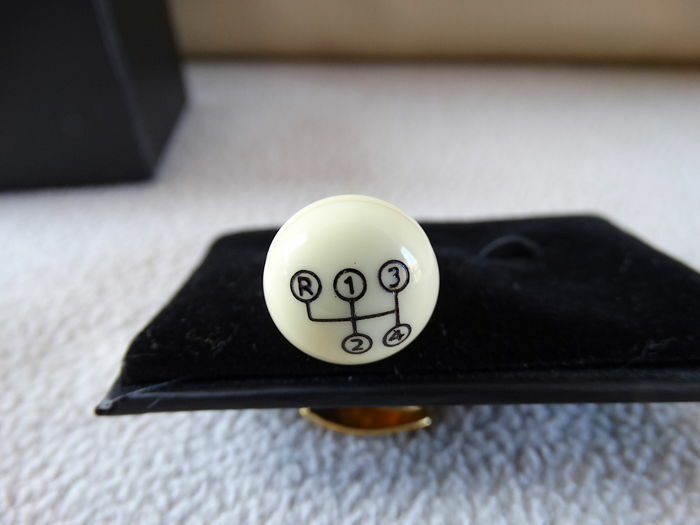 Absolutely new, never worn. 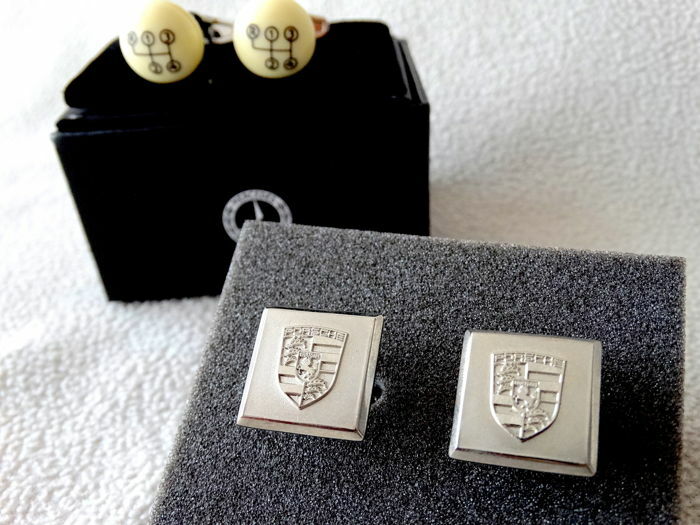 Very beautiful objects, very elegant, with discreet and classy.